The Britex Vandal Resistant Wash Basin provides great value for money in projects for designers that don't have a large budget to work with, but require a stainless steel hand basin that is both stylish and highly resistant to vandalism. 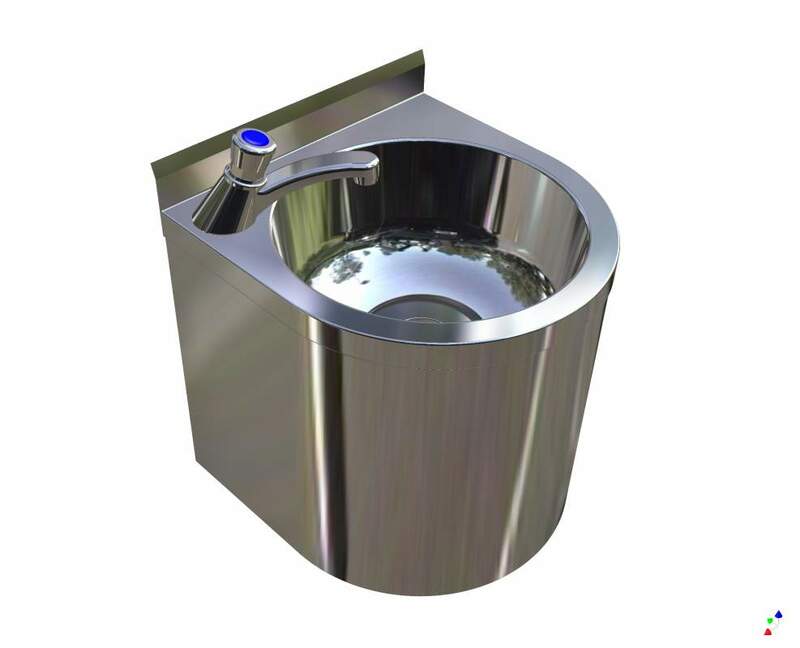 Easily installed and fabricated from heavy duty satin finished stainless steel, all plumbing connections are housed within the carcass of the basin preventing them from being broken or tampered with. Maintenance can be carried out by removing an access hatch that is concealed underneath the basin. Basins can also be supplied with heavy duty, anti-vandal timed flow tapware that saves water and prevents taps from being left on when not in use. Being a local manufacturer specialising in custom fabrications Britex is pleased to work with clients to supply a stainless steel basin suited to specific needs.